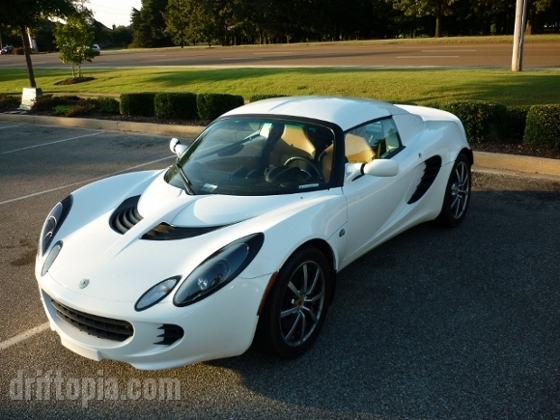 The Lotus Elise is one of the few production cars that comes with a full body undertray. 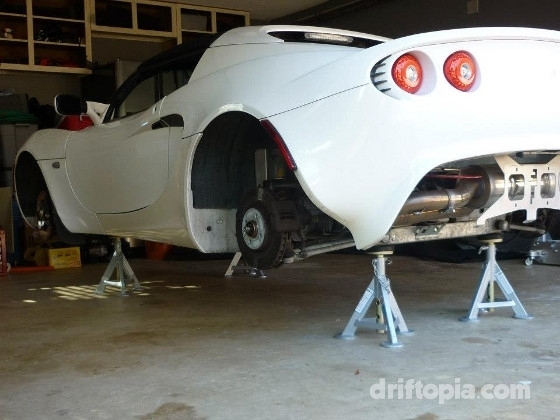 So when you look under the Elise, instead of seeing exposed lines and pipes (fuel/coolant/brake/exhaust) what you are met with is a flat sheet that runs the length of the car. 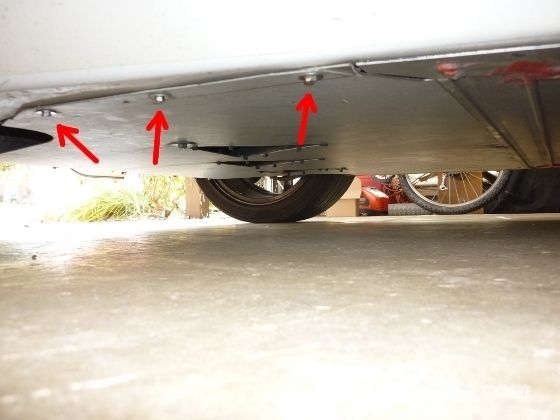 This design feature is a blessing for aerodymics as it smooths and speeds the flow of air underneath the car. 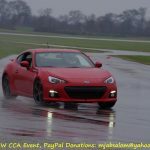 However, parts of the undertray, specifically the rear portion and the rear splitter, are generally in the way when one is performing engine modifications (such as the race pan, race mounts, etc..) or basic maintenance (such as changing the oil). Luckily, the rear undertray and rear splitter are easily removed with just basic hand tools. 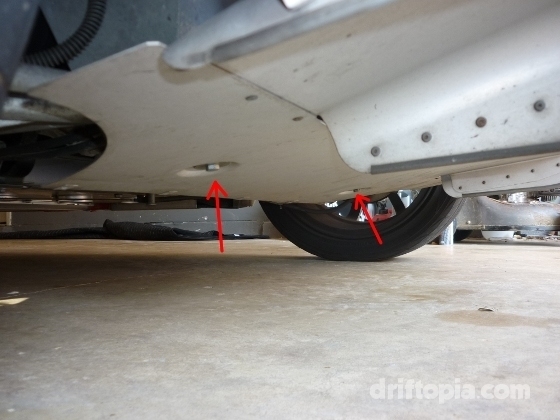 There is really no wrong way to do this but I typically remove the rear undertray before I remove the rear splitter. First, remove the 2 x 13mm bolts on either side of the row of NACA ducts. 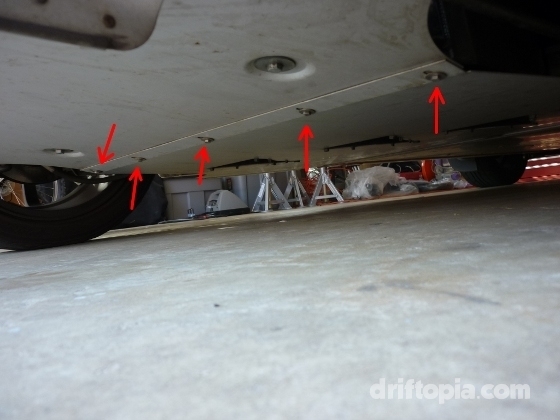 Next, remove the 3 x 8mm bolts from each side of the undertray in front of the rear wheels. 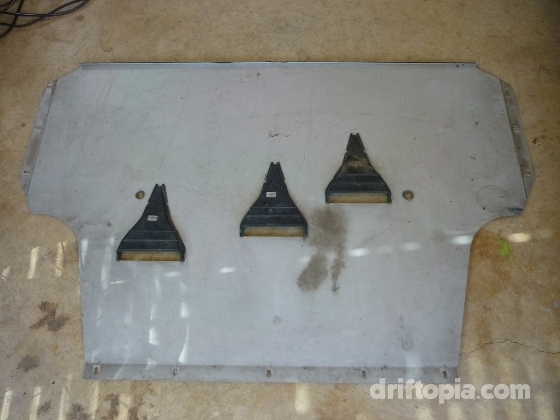 Finally, remove the row of 5 x 8mm bolts that connect the undertray to the rear splitter. Once you are on the last few bolts you can simply use your free hand to hold the tray up so it doesn’t crash to the ground. Notice how the tray simply tilts and slides out of the lip towards the front. The two 13mm bolts are located on either side of the row of NACA ducts. There are 3 8mm bolts on each side of the undertray as shown. There are 5 8mm bolts on the rear of the undertray where it joins the rear splitter. 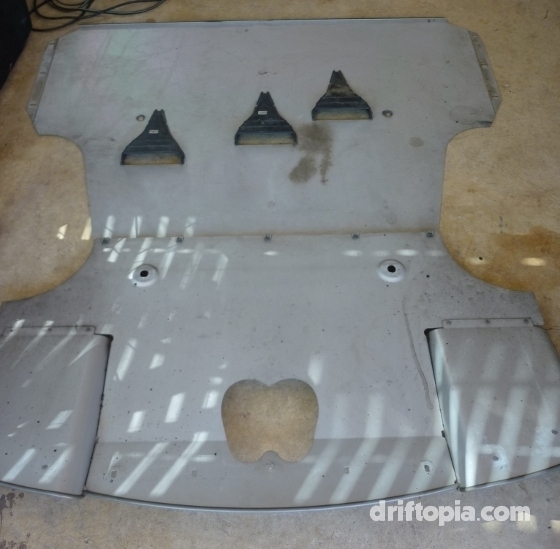 The rear undertray removed from the Lotus Elise. Removing the splitter is very similar except I remove the 2 x 13mm bolts last. Again there really isn’t a wrong way of doing this but I recommend you start at the sides of the splitter and remove the 8mm bolts from each side of the clam. Then remove the 5 x 8mm bolts from the rear of the splitter. And finally remove the 2 x 13mm bolts from the bottom of the splitter, stabilizing it with your free hand. 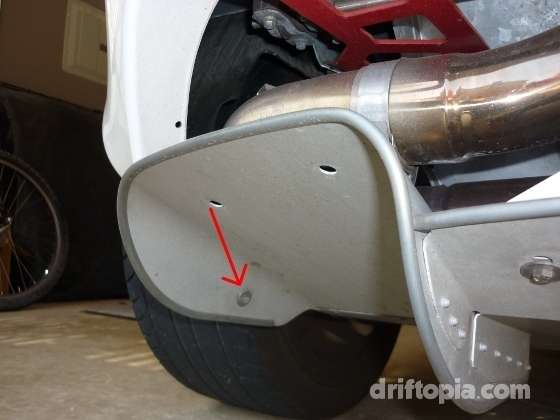 On either side of the rear splitter there is an 8mm bolt just to the side of the wheel well. The 2 13mm bolts on the underside of the rear splitter. This is the rear splitter from the Lotus Elise. This is an alternate view of the rear splitter and undertray from the Lotus Elise. 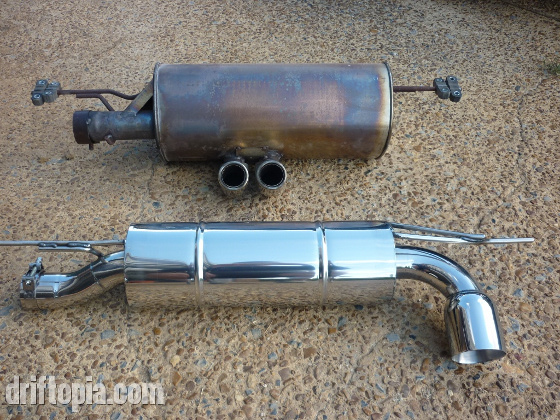 Reinstalling the undertray and splitter is simply the reverse of the removal with a few exceptions. First of all, I would recommend installing the splitter first and then the undertray as the rear edge of the undertray sits on the bottom of the front edge of the splitter. Second, for both the splitter and the undertray, you can loosely reinstall the 2 x 13mm bolts to hold each piece in place so you can work your way to all of the 8mm bolts. Third, you will want to loosely tighten everything at first as there is a very small amount of adjustment built into the undertray/splitter and you want to make sure they are lined up with the body and each other before tighten everything down. 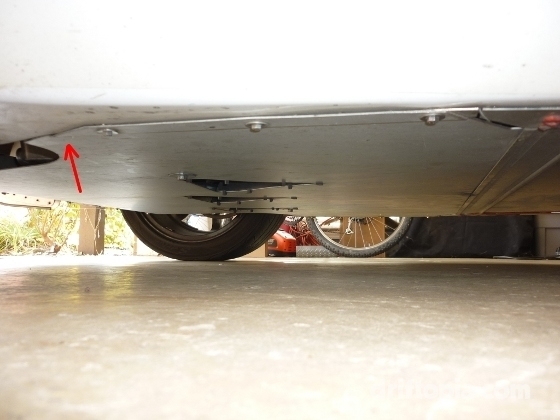 This is especially true regarding the 3 x 8mm bolts on each side of the undertray as the sides are formed with a lowered lip that can pinch the edge of the fiberglass body. Forth, it is very possible to reinstall the undertray by yourself but if you are having trouble ask a friend to work the other side of the front edge as you tilt it back into the lip. Finally, read the next paragraph on torque specs and tricky bolts. 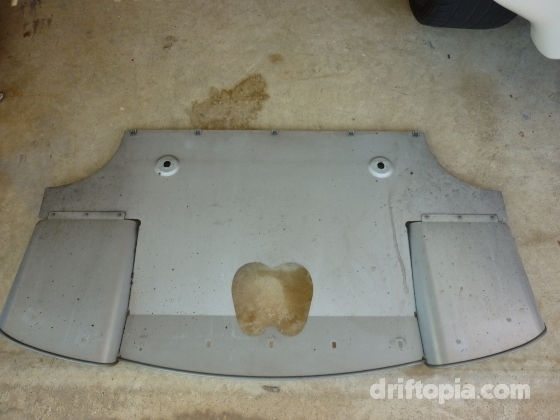 The front of the rear undertray slides onto this lip on the chassis. Pay attention to the side edge when reinstalling the undertray. Make sure that the raised channel does not pinch the fiberglass. I’d like to address a few issues that seem to be common with the 13mm bolts regarding torque specs and the bolts feeling difficult to tighten. First, if you feel like you are getting resistance before the bolts are snug … stop! Remove the bolts and use the compressed air and blow the threaded portion out. If you still meet resistance after this use a small drop of oil on the threads of the bolt itself to see if that eases things up. The last thing you want to do is strip one of these threads. It will result in a very, very bad day. Second, I do not have torque specs for the undertray or splitter so what I do is tighten the 13mm bolts until the undertray / splitter is snug against the chassis. Then give the bolts a ¼ – ½ turn and that is it. I have found this method to work flawlessly over countless undertray/splitter removals/installs. The same tightening method is used for the 8mm bolts.